ElearningWorld.org is a website (and mobile App for iOS and Android) designed for professionals interested in Moodle and e-learning. ElearningWorld is funded and managed by HRDNZ – e-learning specialists and certified Moodle Partner since 2006. More than a dozen world-class international staff writers – each with their own areas of expertise and interest. Easy to use responsive design site and super easy fast navigation. A variety of articles from technical pieces, to new user tips, to jobs, and more! Special offers and one-time limited discounts on a variety of online courses. A free Mobile App (available for iOS and Android) supporting most website features and enhanced search, offline reading, and push notifications – so you never miss a post. 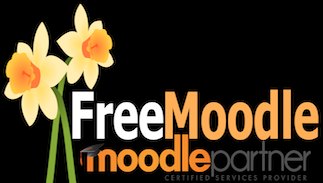 A linked Academy site using Moodle and showcasing some free courses and Moodle ‘best practice’ examples from our team. The ElearningWorld.org project is still relatively new, but developing quickly, so expect to see interesting enhancements over the coming months. If you have ideas about how to make the site even better, suggestions for new features, feedback of any kind, or would like to help in some way, please contact helpdesk[AT]hrdnz.com.